Private 49500 11th Bn., Cheshire Regiment who died on Saturday 10 February 1917. Age 16. 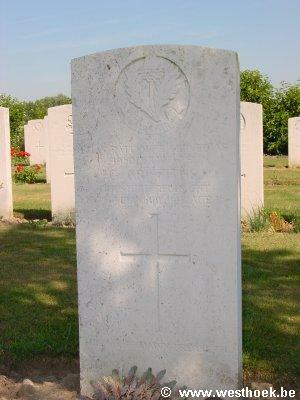 Private ELIAS RATCLIFFE 49500 11th Bn., Cheshire Regiment who died on Saturday 10 February 1917. Age 16. Son of Elias and Abrah Ratcliffe, of 254, Cleveland St., Birkenhead. TANCREZ FARM CEMETERY Grave II. D. 10.